Wanderlust What is Heart Coherence, and Why is it so Powerful? What is Heart Coherence, and Why is it so Powerful? Studies show the “heart brain” is a real thing. Here’s how to practice heart coherence and use it for good. Curious to learn more? See Janick as part of our Speakeasy lineup at Wanderlust Tremblant this summer. You’ve probably heard about being in “a state of flow.” It might happen during a yoga or meditation class, while cooking with your loved ones, or while you’re cutting a rug late-night with good friends. The flow state is the zone where our hearts, minds, and bodies are at one and we feel a deep connection with ourselves and others. When we feel this connection, not only within ourselves but to our environment and even to Mother Earth, we are actually being in coherence. Scientific studies have shown that when we cultivate—intentionally or unintentionally—emotions of appreciation, love, and compassion (as opposed to anxiety, anger, or fear) the oscillations of our heart rhythm are showing as being more coherent or consistent. This coherence has been linked to a sense of wellbeing, as well as being more emotionally stable and reaching peak states of mindfulness. Each one of us deals with stress differently—whether the stress is mental, emotional or social. This means that our heart coherence can fluctuate from moment to moment. We all seek different ways to live more at ease. But what if we could train our hearts to be in coherence more often? What if we could entrain others in our journey to happiness just by being in a state of deep appreciation for life itself? When we cultivate appreciation and compassion, our heart rhythm actually becomes more consistent—which is linked to a greater sense of wellbeing. Scientists have found that the signals the heart continuously sends to the brain actually influence the function of higher brain centers involved in perception, cognition, and emotional processing. Our hearts can also entrain the hearts of other people around us—research illustrates our hearts actually respond and are connected to the oscillations of the earth frequencies. What does that mean? The heart is basically its own brain. I have been meditating for over 20 years and I have explored many techniques—it was my personal inner experience during meditation that first encouraged me to learn about heart coherence. Though I have been diligent about my daily practice over the years, I’ve also had profound, meaningful, and transformative experiences in moments when I was drifting away from the actual meditation technique; when I was exploring my own path. In 2006, I had the opportunity to go to a state of the art medical facility in Mexico to assist my parents doing a health assessment. As a guest, I could use some of the services they offered. There were medical doctors working hand-in-hand with alternative health doctors; there were very sick people and others just seeking personal rejuvenation. I was six months pregnant of my first daughter, and I was sitting on a chair, a sensor on my finger plugged into a computer. The practitioner asked me to stay calm and relax while staying in the room by myself for the duration of the test. He said he would measure my ability to relax and manage stress. I began my usual meditation routine; slowing my breath, watching thoughts passing by. I was thinking about whether I was doing it right, but I let that go. I observed physical sensations and after about a minute or two, I was in my usual meditation state. I was in my zone. I’ve also had profound, meaningful, and transformative experiences in moments when I was exploring my own path. After about ten minutes, the man came back in the room. He looked at the monitor and asked me, “What did you do?” I back looked at him, puzzled. According to him (and the monitor), I was “in the zone.” My heart coherence was at 94 percent—and all I had been doing was meditating. In that moment, I knew I was onto something. I knew meditation was good for me, but before that moment, I couldn’t comprehend the depth of my practice. I knew that even though I was not doing exactly as what my meditation teacher told me to do, I was doing fine. I was not drifting away from meditation but deepening my practice by listening within and adjusting my practice to what felt right. I needed more explanations, and I knew that heart coherence was a good lead. Remember that coherence is like a frequency wave. As an example, when you are angry, your heart sends uncoherent signals, and when you feel grateful, you are emanating a beautiful coherent signal out into the world. That’s contagious; it not only benefits you, but those around you as well. Curious to try? If you want to explore with coherence, here are three of the basic meditation exercises you can do to bring you in a state of coherence—and maybe help others around you by entraining them into the waves of love, compassion, and gratitude. Breathe five to six breaths per minute. This will bring you in a basic state of coherence. When I practice this, I see the oscillations on my monitor become smoother and coherent in matter of seconds. Bring an emotion of appreciation, compassion, or love into your awareness. Feel it with all your physical body and bring it into the area of your heart. This usually brings your coherence ratio higher. Practice a loving and kindness meditation more often. This meditation is based on compassion and self-love. We can never have enough of it. Give it a try. Raise your vibrations—and watch that of those around you do the same. Janick Léonard is the author of the book Make This Your Best Life and the founder of Yoga of the Seasons. She has been on a path of self-discovery since she was just a little girl. She is always evolving in her quest to find the meaning of life and to fulfill her dharma. 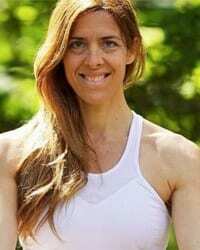 She is a real trailblazer for the yoga community in Quebec, Canada. She offers online programs, conferences and workshops to guide women and moms of her generation to take care of themselves while creating a life aligned with their purpose.